Why Do Realtors Need Digital Marketing? Top 5 Ways To Find The Best Digital Marketing Agency! Find The Best Digital Marketing Agency For Your Business! A good branding agency can do wonders to your brand! Today, ‘Branding’ has gained an enormous importance. It gives your brand a distinct ‘face’, a personality; making it easy for your customer to identify your brand. The job of a Brand strategy & planning agency is to make your brand stand apart from the crowd of ‘me too’- (similar, to be precise) brands. There are certain attributes that are attached to a particular brand. 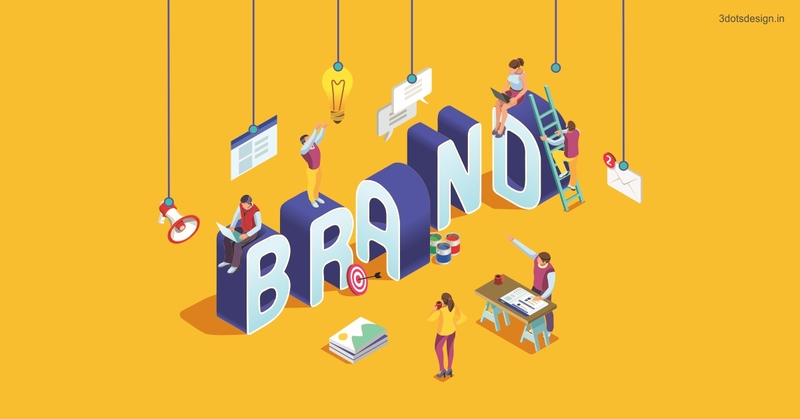 These attributes set that brand apart from other brands. So, branding is a deliberate attempt to condition the customer in such a way, that s/he recognises the brand instantly after seeing/reading/hearing the gist of the description of these attributes or characteristics. The gist of these characteristics is often presented through a logo, tagline, punch line or baseline. For example: Thumbs up, Taste the thunder! If the customer finds that the claim made by the tagline matches with her/his experience; this conditioning would be further strengthened helping the brand march up her/ his top of the mind recall. The 360 degree branding solution services tend to all aspects of branding. ‘Logo’ is the visual element of branding, something that instantly meets the eye.The more attractive and meaningful your logo, the better it would serve your brand. Dressing up your product in an appealing way would help create a positive impression about it. Because the success of any product depends on Designing & Branding that’s just perfect. Suppose, you have a restaurant or a motel; it has to have a pleasant ambience that enhances your brand personality. Brand integrity is something that gives your brand a unified, cohesive look. An absence of such brand integrity would make it tough for the people to identify your brand. For instance, if the colour scheme of your logo or any aspect of your corporate identity keeps changing every time you communicate; it may affect your brand image unfavorably. We are one of the Best Business Branding Agencies in Pune and can give your brand everything it needs to stay ahead of the competition…from an impressive logo to flawless brand guidelines.